Inspired by Occupy Central in Hong Kong, London's Occupy Democracy is looking to build a movement for truly representative democracy. Inspired partially by Occupy Central in Hong Kong, London’s newly formed Occupy Democracy is being called a revival of Occupy London, which for a brief time in 2011 served as a major center of the global Occupy movement. 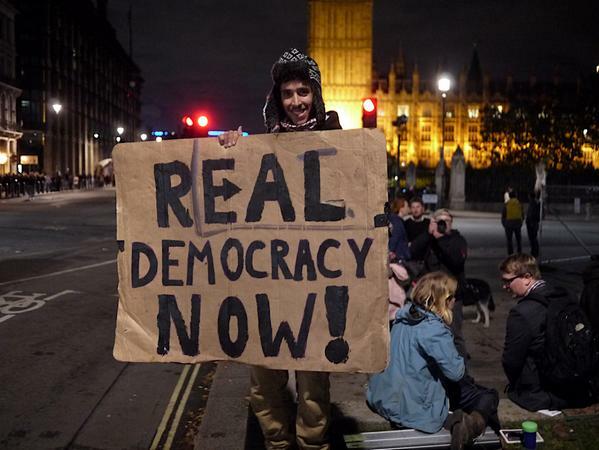 Protesters’ messaging deals with Britain’s governmental structure, though many of the stories to emerge from Occupy Democracy’s focus on the technicalities of laws that govern free speech in London’s public spaces. The week’s events have been centered in Parliament Square, a park directly across from Britain’s main legislative body where it has recently become illegal to hold signs or use amplified sound systems. The Greater London Authority has fenced off the square, an area traditionally known for protests, in accordance with laws passed in 2011 to discourage demonstrators in the lead-up to the royal wedding. The 2011 Police Reform and Social Responsibility Act allows London Police to confiscate anything that could be considered a “structure” in Parliament Square, which in recent days has come to mean pizza boxes and tarps. The question remains as to whether Occupy Democracy can become a movement larger than the square. This time three years ago, Occupy encampments worldwide debated what would become of the movement after it was evicted — either by the police or the weather. Occupiers’ shared identity became so bound up in what was happening in the park that, shortly after tents and kitchens collapsed, so too did the movement. Having set a time limit on their occupation, it appears as if Occupy Democracy organizers have learned a few key lessons from their predecessors. If protesters in London can manage to inject as much excitement into the banner as their counterparts in Hong Kong, a smarter, stronger Occupy may not be out of the question. Good to see the Spirit alive in Britain.. I would disagree that the Occupy Movement disappeared with the collapsed tents and kitchens. Just last month hundreds of thousands joined the Climate March in New York. Thousands unable to make it to New York assembled and marched in cities across the U.S., indeed across the world. The citizens of Ferguson and other cities across America have marched and protested in solidarity with our brothers and sisters oppressed by the police and the courts. Tribes across Canada and the U.S. are leading the fight against the KXL Pipeline. Groups like MoveOn are fighting to pass an amendment that would nullify the Supreme Court’s corrupt ruling on Citizens United. State groups are fighting to pass legislation to keep this corruption from swallowing State and local politics. Heads of State are speaking openly of ending the War on Drugs and reforming prison sentences. One could go on.. 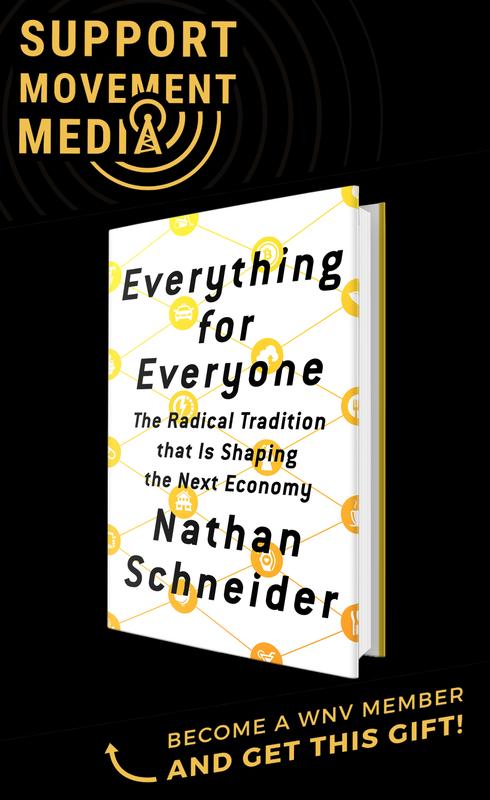 The Occupy Movement has been carried back in the hearts to the homes of those who assembled in Zuccotti Park and those that they inspired. It has undergone a diaspora.